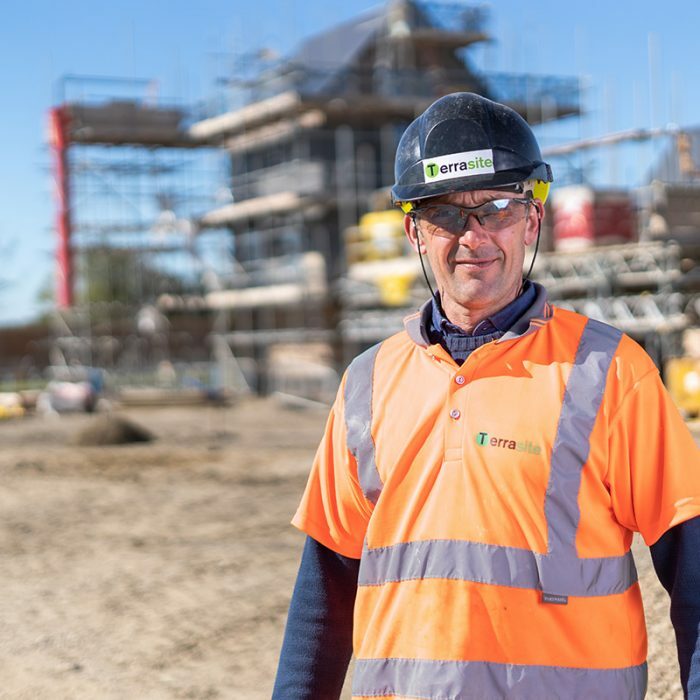 New Nurses Residencies, West Suffolk Hospital, Bury St Edmunds, Suffolk – Barnes Construction Ltd. This is one of many projects Barnes Construction have managed on the hospital site. 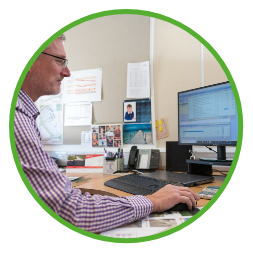 The experienced Terrasite Team are always ready to answer your questions. Contact us to discuss your project now. 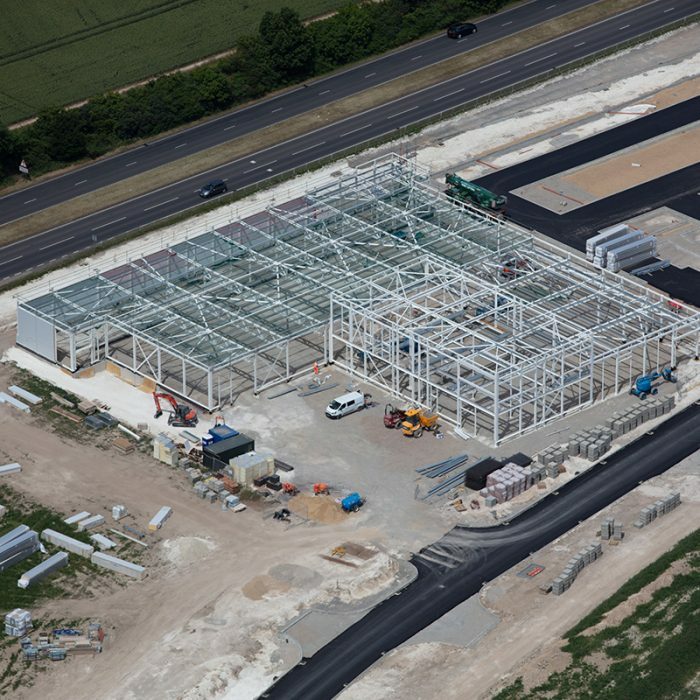 This site is the first commercial development on the new Royston Gateway development for Kiafield Properties Ltd.
We currently carry out all works on or below the ground. Current and previous projects range from £500K to 4.5m. 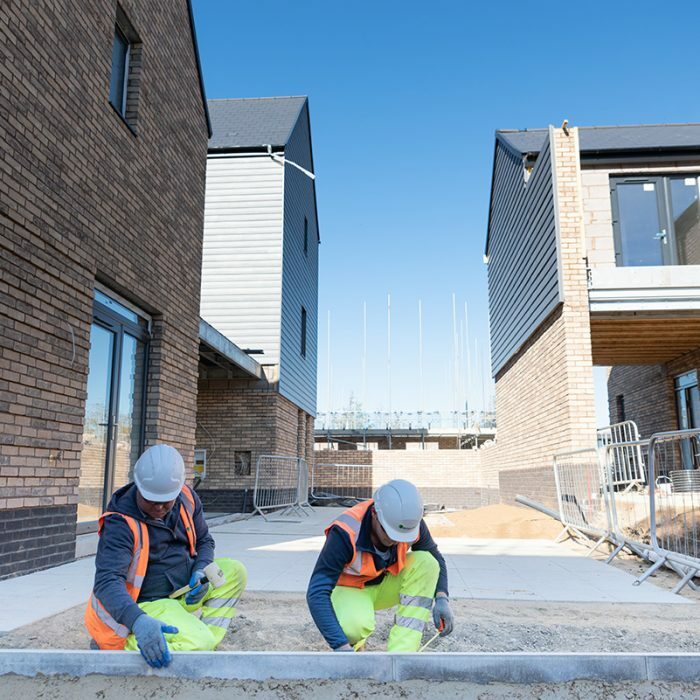 This project is the first phase of 150 units on behalf of Urban & Civic, the owners and developers of the former RAF Alconbury site. 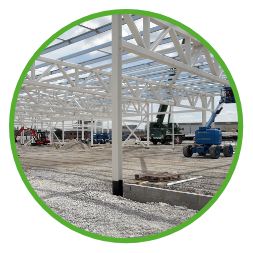 As an additional service to clients, we also carry out bespoke construction projects thus continuing above ground on any superstructure works required. 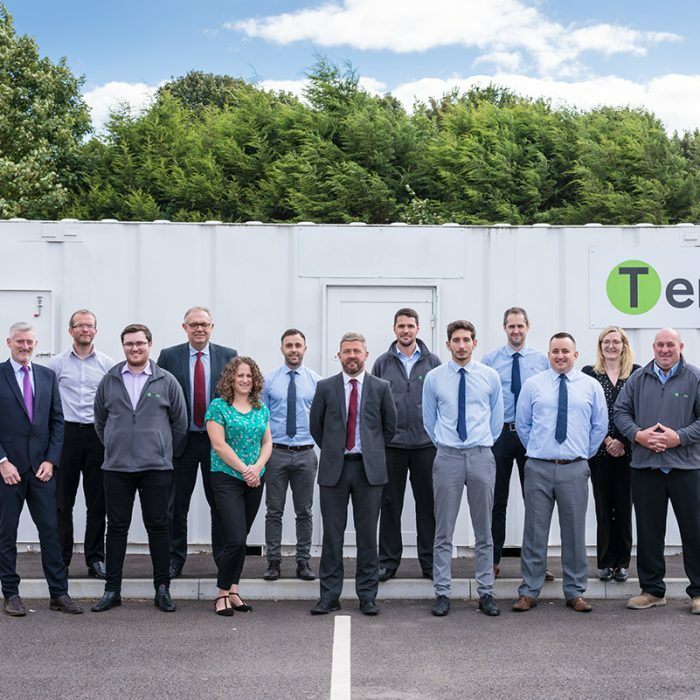 Terrasite Ltd was formed in April 2017 by John Breheny to compliment the services provided by the Breheny Group. Breheny Civil Engineering Ltd (BCE), well known for its’ heavy civils, infrastructure and technical works, identified a need to provide more conventional groundworks services in order to fully support existing clients. Terrasite Ltd acts as a stand-alone business but also supports BCE as and when any project requires. Our senior management team has over 100 years of combined experience in the groundworks and construction industry. This knowledge means we are able to meet the requirements and demands of more complex projects. Terrasite is a privately owned company within the Breheny Group with a dedicated and qualified workforce. The Company is based at Creeting St Mary near Ipswich and works in the private sector. We believe in working ‘with’ our clients, ensuring any project is delivered to budget and to an agreed timescale. 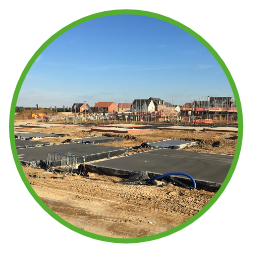 Using our knowledge and experience within our specific sector of groundworks we believe we can assist all our clients, should they so wish, to achieve the best overall result for any project regards buildability and value engineering. We value our people, customers and suppliers. We treat our people fairly and equitably. We want our people to enjoy their work and progress their careers in a stable, safe environment. We seek repeat business from customers. We develop good relationships with suppliers. We have respect for the community and environment. We minimise our impact on the environment and the communities in which we work. We support community projects that involve our employees. We believe in openness and honesty. We comply with all applicable law. We work as a team with our customers. We do everything to the highest possible standard. We reinvest profits to maintain an extensive and modern plant fleet. We continuously improve our performance. “Breheny is a family business that builds long term relationships with its customers through the quality of its workmanship and the excellent service it provides.” – John Breheny, Chairman. 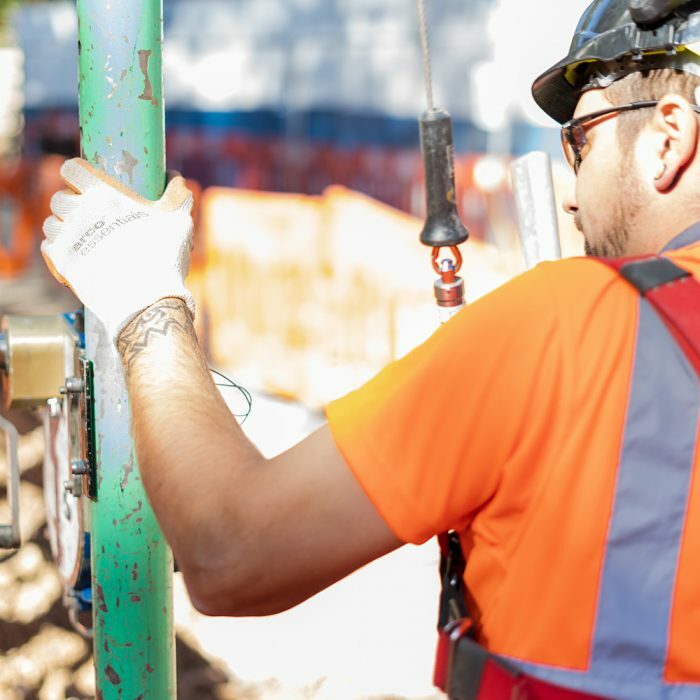 Working in partnership with clients helps us create early dialogue thus benefiting the scheme with any cost savings and value engineering to encourage a least-cost solution. We currently carry out all works on or below the ground. 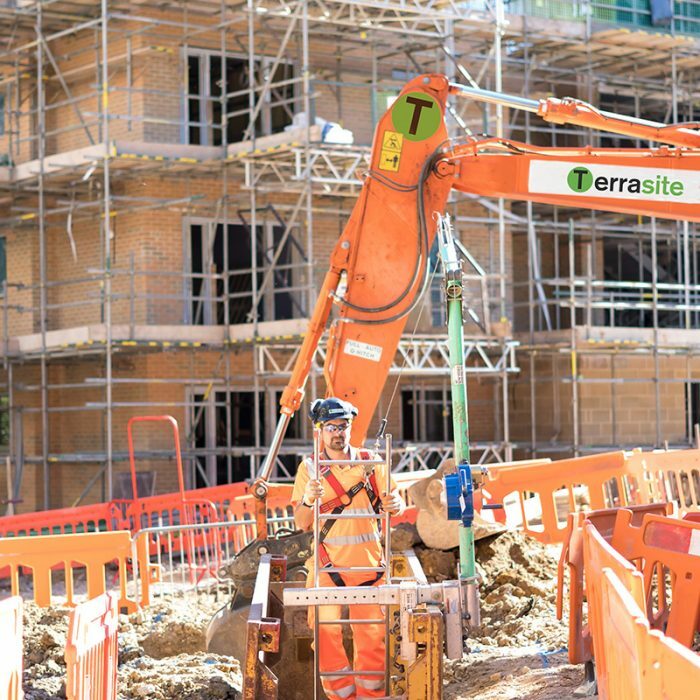 Current and previous projects range from £500K to 4.5m, for both commercial and residential clients, working in both Greenfield and brownfield site environments. Our current diversity of schemes include: private housing, social housing, hospitals and schools, industrial and retail units.